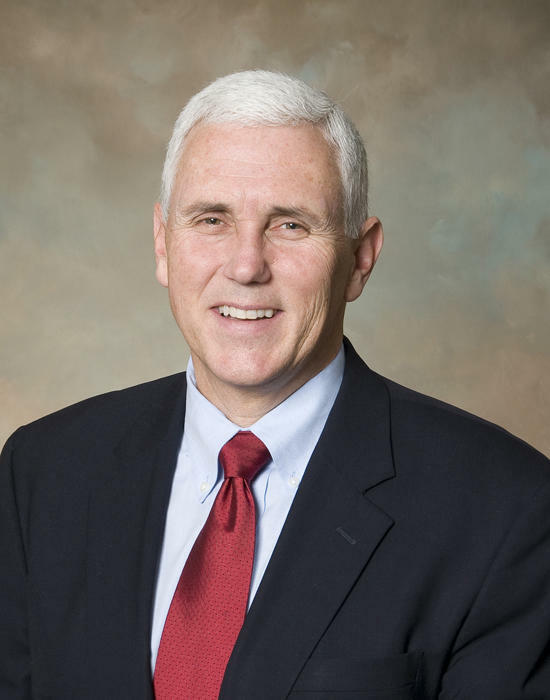 Governor Mike Pence created CECI, which competed with Superintendent Glenda Ritz for power, and then dissolved it as he asked for Ritz's position to be appointed, rather than elected. Governor Pence is dissolving his education agency, the Center for Education and Career Innovation. The news came as a surprise to many in the education field because “CECI”, as it's called, was the governor’s brainchild. Since its creation last year, CECI has overseen staff for the State Board of Education, the group responsible for creating policies that affect thousands of students across the state. But some people aren’t sure whether this move is enough to help board members cooperate and accomplish their goals. The announcement came during a legislative conference where the governor said he wants state lawmakers to focus heavily on education reform in the upcoming legislative session. Pence says change has to start at the top. "For education to work in our state, it has to work at the highest levels," Pence says. "And somebody’s got to take the first step to restore harmony and trust among those that are charged with overseeing education in our state." CECI has been a frequent scapegoat in ongoing battles between Democratic state superintendent Glenda Ritz and members of the state board, who the governor appoints. At that same conference – just hours before the governor made his announcement – Ritz’s colleague John Barnes, who oversees legislative affairs at the Department of Ed., described the superintendent’s view of CECI as the main source of board tensions. "It was created by executive order, it was created outside of legislation, and our feeling is that that has created chaos in the educational policy area," Barnes says. "We now have duplications of services and confusion on roles and responsibilities. Sometimes it’s a little bit like Abbott and Costello doing ‘Who’s On First.’ And we feel like CECI is truly the cause of these problems." Indiana is one of only 12 states where the superintendent is elected. According to the National Association of State Boards of Education, it’s more common for state boards across the country to appoint or recommend their top education officials. Sen. Carlin Yoder (R-Middlebury) is a ranking member on the Senate Education Committee. He says feuding should be expected when you have an elected person who heads the DOE with one philosophy and the governor with a different philosophy. "It’s refreshing to know that if we remove CECI from the mix, everything will be great and everyone will get along great and our educational system is going to be flowing along after that. The reality is that’s not true," Yoder says. In order to tackle big issues such as failing schools, teacher accountability and standardized testing, board member Brad Oliver says going forward, there has to be an understanding that Indiana’s model is based on a structure of shared governance. "The General Assembly plays a role in that, certainly the governor’s office does through the appointed members to the state board, and then also so does the Department of Education," Oliver says. "When any one of those entities basically asserts itself as the sole authority over education, we have a problem." It's unclear where many of the members of CECI will be headed – including whether any will be assigned to work for the DOE. Keep in mind, nothing like CECI ever existed before 2013. The modern state board and DOE, as they exist today, had operated without a third party’s involvement since 1984. The governor also said he wants state lawmakers to pass a law that would allow the state board to elect its own chair. Right now the state superintendent automatically holds that position. Yoder says he thinks its something the legislature will consider. "Because I’d be hard-pressed to find anyone who says its working well the way it is right now. We need to be on the same page, and we just aren’t," he says. 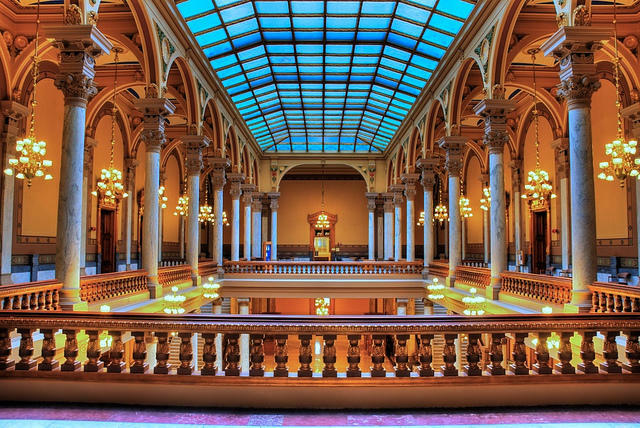 Aside from Ritz, all other current members of the state board were appointed by either Pence or former governor Mitch Daniels, also a Republican. So if the legislature does what Pence wants, it could strip Ritz of some of her authority – and ultimately make party lines an issue all over again. Legislative leaders are split along party lines in their evaluations of Governor Mike Pence’s proposed changes to the state’s education hierarchy. Governor Mike Pence will eliminate the controversial Center for Education and Career Innovation, or CECI, which has been a thorn in the side of state Superintendent Glenda Ritz since its creation two years ago. But Pence also wants the General Assembly to allow the State Board of Education – made up of Pence appointees – to elect its own chair, a position held by Ritz. Governor Mike Pence announced Thursday that he intends to sign an executive order to dissolve his education agency, the Center for Education and Career Innovation. Pence expressed pride in the work CECI has done in the last two years, but says he is aware of the controversy that has surrounded this center since its creation. He says his decision is the first step to get the State Board of Education working again.